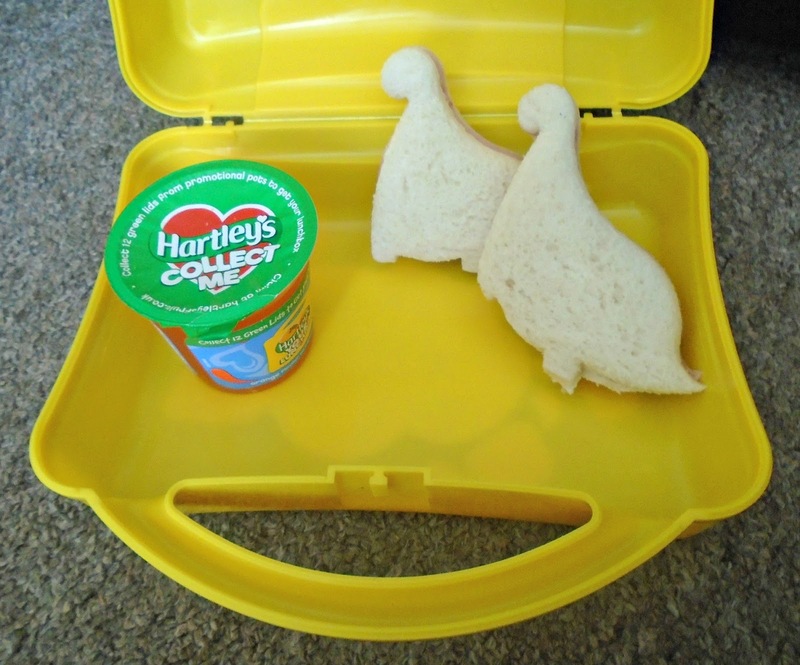 Keeping lunch time fun with Hartley's. A packed lunch is one of James favourite lunches and since he started school 2 years ago I am always looking at ways to keep his lunch box fun, interesting and delicious. Whilst I would love to be able to show you a Pinterest worthy bento style lunch box full of art worthy sandwiches and snacks that's just not us. With 2 kids to get ready and out of the house by 8am each morning (one of whom refuses to get dressed!) mornings are stressful enough. However there are lots of ways you can keep packed lunches fun and delicious with little fuss and effort. Here are my top tips for putting together quick, easy and nutritional lunch boxes the kids will love. Sandwich cutters are your friend for quick and fun lunches. Even Evelyn who is a total sandwich snob will tuck in to a sandwich if its dinosaur shaped. You can find so many great designs and for a just a few £'s each these are a cheap way to jazz up lunch too. Hartley's jelly pots are a great addition to lunch boxes too. With a huge variety of flavours they offer a fab low sugar sweet treat addition to lunch. 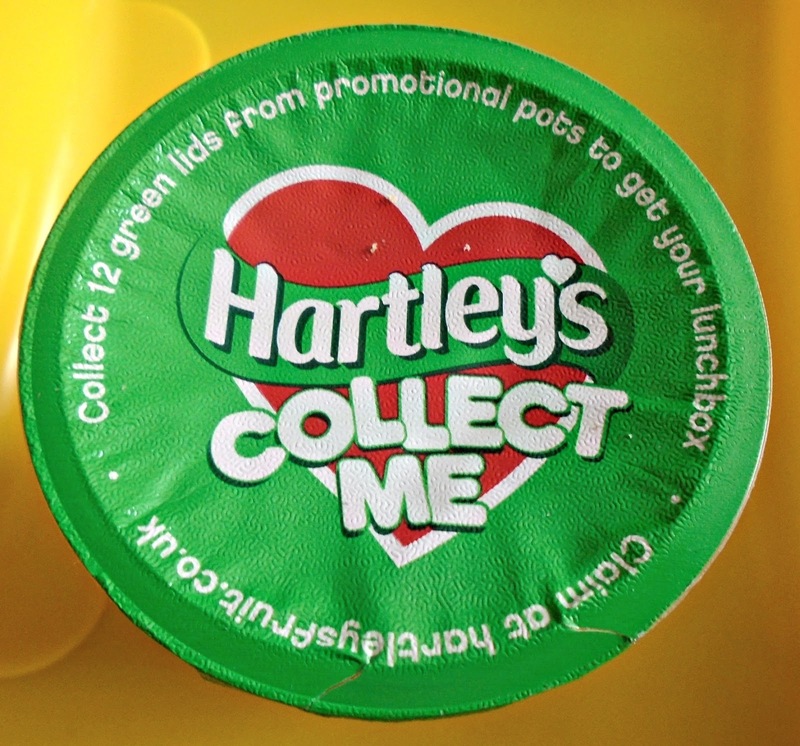 Hartley's are also running a promotion at the moment where you can collect 12 jelly pots lids and send these off. In return you will receive your own Hartley's lunch box and stickers to personalise it! If you are worried about lunches getting warm but don't have room in the lunch box for a bulky ice pack, freeze a juice carton. Not only will this keep the lunch inside cold but will double up as a refreshing cold drink by lunch time. Get the kids involved with picking things for their lunch box. We encourage James to pick a different piece of fruit to try each week which keeps it different. Some of his other favoruites include baby bells, grapes, cucumber sticks, frubes and sometimes we bake our own simple cheese straws at home which are always a hit. Do you have any top tips for keeping lunch boxes fun, interesting and delicious? I would love to hear them! 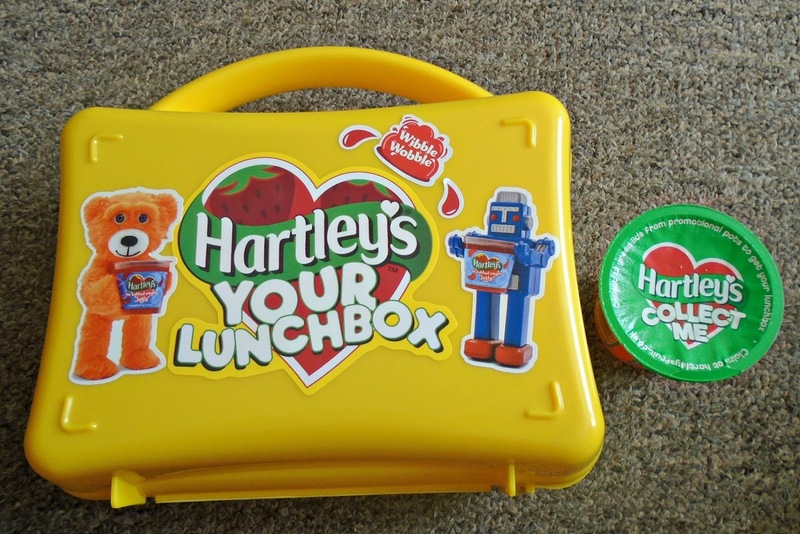 This post is an entry for BritMums #HartleysYourLunchbox Linky Challenge, in collaboration with Hartley’s Jelly www.hartleysfruit.co.uk. Inspired idea on keeping the lunchbox cool. Commenting for myself and on behalf of BritMums and thanking you for taking part.